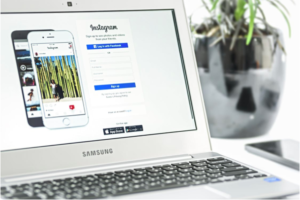 There’s no denying the power of Instagram in digital marketing anymore. Whether you’re working with third-party influencers or doing the influencing yourself, having a presence on the site can be incredibly compelling for social audiences. The problem is that Instagram’s algorithm change even more often than Google’s; just when you think you have it down and get in a groove, they change again. Instagram’s most recent changes happened just a few weeks ago, when the platform made serious efforts to better serve users. In this post, we’ll cover two of the biggest changes to help you overcome any current struggles. In March, Instagram announced that it would be updating the news feed “to ensure that newer posts are more likely to appear first in feed [so].” Their goal was to create a feed that let users stay informed and up-to-the-minute with news, but that’s not so great for marketers because it means posts roll off the feed much faster. It also means a post you made this morning might peak in the first hour, rather than several hours later or even the next day. If you’re like many businesses, you probably schedule your posts reasonably far in advance. You can still do that, but now, you’ll need to reconsider when you schedule them and the impact it might have on interactions. If you’re only posting once a day, you may want to bump that to twice a day to ensure you get clicks. One of the biggest recent changes is a shift in how Instagram weighs influences when deciding what to show to users. Previously, someone with a huge following and thousands of interactions would naturally appear in someone’s feed more often than, say, someone without any real following, even if they were a friend. That’s now changed. Instead, Instagram will measure interest by how often the user interacts with a page or profile’s content. For example, if Sally and Sharon are best friends, and frequently interact with each other’s content, they’ll be more likely to see more of each other’s posts rather than, say, a major retailer or brand. But the opposite is also true. If someone develops a strong relationship to a brand, and frequently interacts with that brand, they’ll see more of the brand’s posts in the future. For you, that means working harder than ever to develop relationships with your followers that inspire interactivity and loyalty. Use A/B testing, content experimentation, and Instagram Insights to identify your most compelling content, then expand on it until you find the right mix. Are you struggling to find your niche on Instagram? We can help you make the most of your campaign and get the attention you deserve. Contact Go Digital WSI for more information.